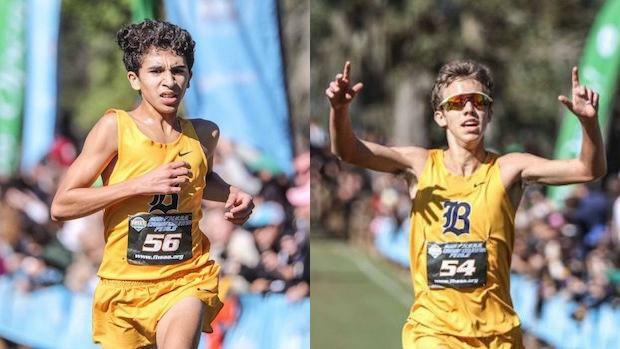 Belen Jesuit had the both the fastest sophomore and freshmen in the state meet with the 1-2 finish from their underclassmen stars in 10th grader Javier Vento (1st, 15:39) and 9th grader Adam Magoulas (2nd, 15:41) in the 3A boys race. No surprise that their performances helped lead Belen Jesuit to a dominant team victory by a margin of 135 points. Check out the top boys performances by grade from the 2018 FHSAA Cross Country State Finals.